Look at this 1947 solid 14k. gold OMEGA rectangular watch measuring 21×34.5mm. 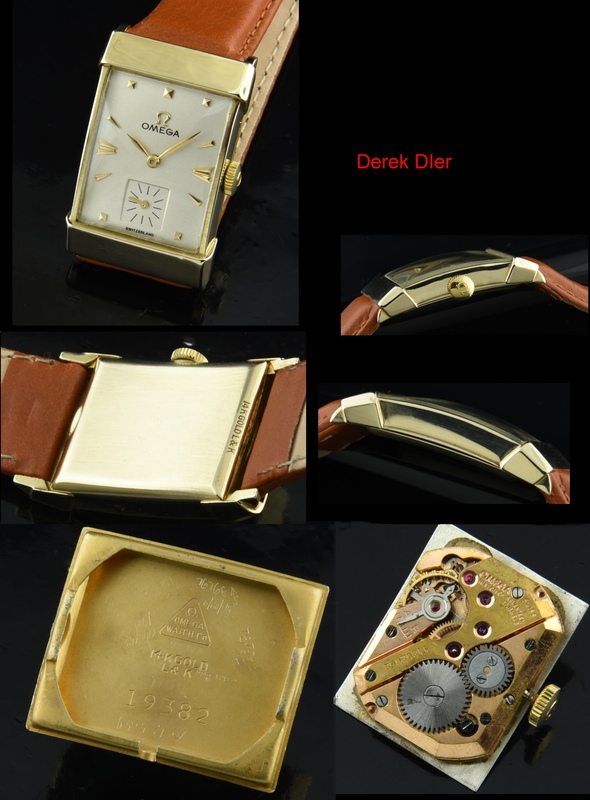 with wide, gold lug ends, perfectly restored dial, original gold hands and pyramid and arrow markers. The Omega winding crown is present. This manual winding OMEGA movement was just cleaned and is accurate. 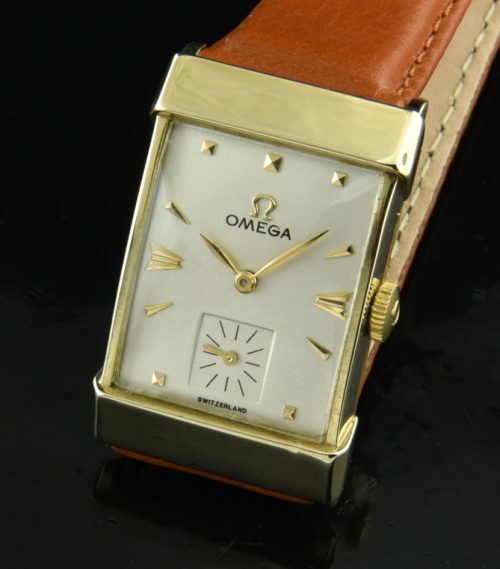 This is a great looking vintage solid gold Omega!